BrowZine is a current contents awareness product that allows you to keep track of your favourite journal titles and link through to full text articles from your mobile device or your computer. To get more out of BrowZine watch an instructional video here (10 minutes). For further assistance or to book a hands-on tutorial, contact your site librarian. Download it for free and build your own bookshelves using SALUS subscribed e-journals. Tap on the app icon to access BrowZine. A list of libraries will appear. Select the SA Health Library. Enter your SALUS logon username and password to continue. The app will prompt you to create an account to save articles and journals. Sign up with an email address and password of your choice. Please make a note of these details. If you already have an account created on computer or mobile device, sign in with your account details. 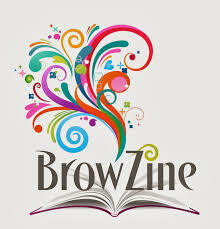 Both versions of BrowZine stay syncronised so you can access your collection where ever you are. When you open BrowZine, it should open to the BrowZine Library view (not on iPad). From the BrowZine library you can browse using subject categories or you search by typing in a title or subject. When searching for a journal using a subject category on mobile devices, select a subject area that you are interested in. The list will narrow down to terms within that subject area until you are presented with a screen of journal covers. Tap on the cover that you are interested in. Search for the title using full words and tap on the title that best fits your search. Please note that the full text resources that work best with BrowZine are the ones available to all of SA Health staff, rather than the hospital site specific resources. After opening a journal that you'd like to add to your Bookshelf, tap on the menu button to be given the option to 'Add to My Bookshelf'. On iPad you will be prompted to drag your selected journal to one of your bookshelves. Once you have opened a journal the latest issue will be selected. To change issues tap on the 'Available Issues' button. Tap the desired issue to select. Tap on the article to open the article. If you would like to save the article, tap on the file drawer to save. This will be available to read offline. To access saved articles tap on 'My Articles'. Saved articles and journals are synchronised between devices that you have logged in on. This link lets you access the SA Health collection of ejournals. You may like to bookmark it or save it as a favourite. You will need to create an account if you would like to save articles and journals. To create an account, click on My Bookshelf and then click Sign Up. Sign up with an email address and password of your choice. Please make a note of these details. When you open BrowZine, it should open to the BrowZine Library view. From the BrowZine library you can browse using subject categories or you search by typing in a title or subject. When searching for a journal using a subject category on a computer, click on a subject area that you are interested in. From there you can either browse covers or narrow down the terms within your chosen subject area. Click on the cover that you are interested in. Search for the title using full words and click on the title that best fits your search. After opening a journal that you'd like to add to your Bookshelf, click on the 'Add to My Bookshelf' button. Once you have opened a journal the latest issue will be selected. To change issues select another in the list or click on 'Change Year' to find the desired year. Click on the title of the article to access. If you would like to save the article, click on the arrow (or v) below the title to reveal a hidden menu. Click on 'Add to My Articles'. A box will pop up asking which collection you'd like to save the article to. Select the collection and click Done. To access saved articles click on 'My Articles'. Saved articles and journals are synchronised between devices that you have logged in on.